There are some new opportunities to earn points on Recyclebank! First, go here to learn how to improve your routine around the home for 100 points. Then click on “Easy Greens” in the left column where there should be 3 questions you can answer for 30 more points total. 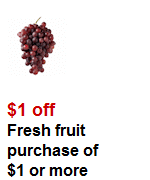 Here’s another opportunity to save on organic produce! 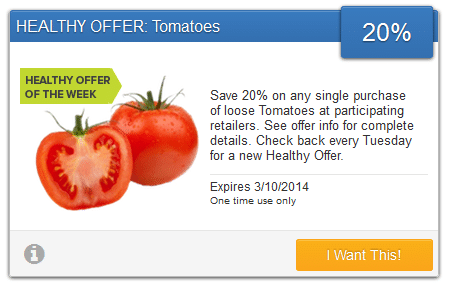 The FREE rewards program, SavingStar, is offering a coupon that will give you 20% cash back on loose tomatoes at participating retailers, like Kroger. This is a great time to stock up on organic tomatoes! 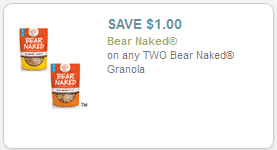 If you are a fan of Bear Naked granola, hurry and print this rare $1 off any 2 Bear Naked granola coupon. You may need to enter the zip code 19606 in order to print it. Be sure to print two! 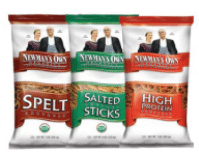 Amazon just released a bunch of new natural and organic coupons ! 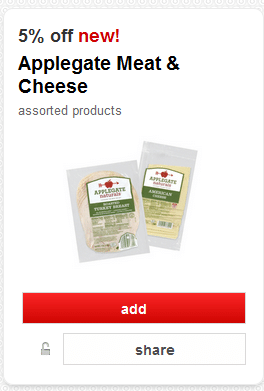 Amazon offers high-value coupons that often times, bring the price much lower than what you would find in store. Plus, check out my tips below on how to stack these coupon savings with other Amazon savings! Wow! 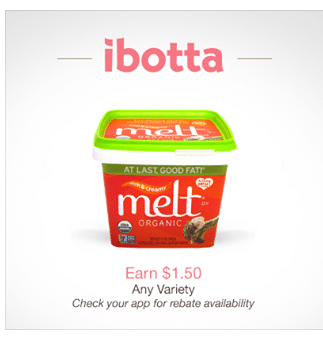 This new Ibotta $1.50 cash back on any Melt spread offer makes for FREE Melt Buttery Spread at Whole Foods when combined with the below coupon! Wow, here’s an awesome FREEBIE! 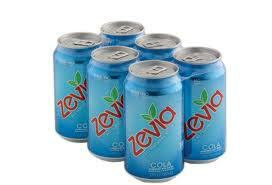 Get 3 friends on Facebook to enter Zevia’s giveaway through your link, and you’ll receive a coupon for a FREE6- pack of Zevia! Just head over here to enter the giveaway and share the link with your friends.